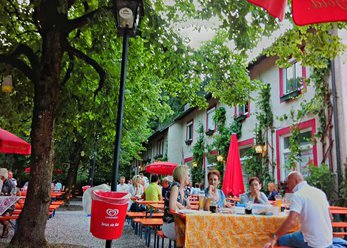 The location is a great setting for a traditional Bavarian beer garden. Posted like the event area for parties, birthday parties, seminars and much more. Attached hostel for cheap accommodation! The bare feet in the soft sand, the body comfortably stretched out on a deck chair or on the cosy indoor lounge bed. 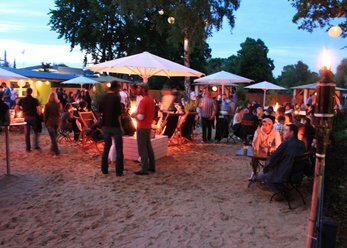 The City Beach of FFB in Munich directly on the river offers a wonderful atmosphere during the day and also at night.